The 10 Best Pet Stores in West Virginia! Pets are an enormous part of our lives. Our furry friends deserve the best when it comes to food, grooming, and other supplies, and that’s why choosing the very best pet store is important! Looking into buying a pet? They’ve got that too. Next time you’re looking for an exotic fish or some organic food for your dog, check out these 10 excellent pet stores in West Virginia! Knowing that pets thrive on quality care, good products, and kindness is what sets Specialty Pets in Nitro, West Virginia apart from the rest. Each member of the staff is knowledgeable and friendly and they can help locate hard-to-find items and livestock. With over 1,500 gallons of display tanks, you’ll find an extensive selection of fresh and salt-water fish, supplies, plants, and information. Open daily, they also offer specials on their Facebook page. If you’re looking for a place to find a family pet, then look nowhere else than All Creatures Feed & Pet in Summersville, West Virginia. They have a friendly staff who can help you make your choice, then provide everything you need in a packaged deal that includes food, treats, toys, leash, and other items needed for your new pet’s care. They also offer clean and affordable kenneling services, and special deals are posted on their Facebook page. Offering professional pet grooming, Becky’s Pet Parlor is located in Elkview, West Virginia. Serving people and animal customers alike with patience and kindness, you’ll want to book now to get on the schedule due to popularity. Becky’s is highly recommended if you have a pet with anxiety about grooming. A favorite in the community because of their support for local animal rescue organizations like PURRWV, Eastern Pet Supply Outlet in Bridgeport, West Virginia, is your one-stop shop for pet needs and your next pet. 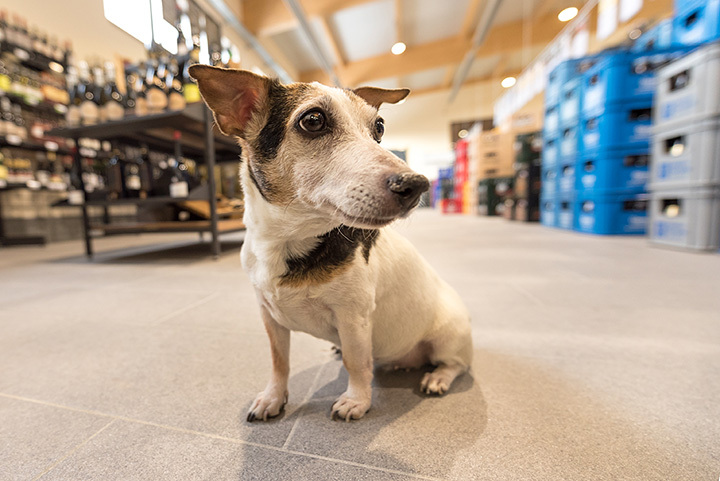 Started in 1990, the store has outgrown each location for several years, showing its popularity and need for a quality, reasonably-priced pet stores. They now have a large selection of fish and have partnered with PURRWV to find homes for rescued kittens and older cats. Everything from aquarium fish to puppies and kittens, to dog grooming and exotic animals, you’ll find it all at BV Southside Aquarium in Parkersburg, West Virginia. If you’re new to tropical fish, the staff at BV Southside can assist you in making sure you have the right supplies to properly care for your fish. Looking for a specific reptile, bird, spider, or other exotic creature? If they don’t have it, they can get it. Open every day but Sundays. Ever hear of a pet taxi? Well, Pet Palace in Huntington, West Virginia, offers pickup and drop-off services for your pet in need of grooming or boarding. In addition to these services, training and pet supplies are also available, and they offer a nice selection of saltwater, coral, tropical, and freshwater fish. Open every day except Sunday, except for overnight boarding. Known as a full-line pet shop, the Exotic Jungle in Morgantown, West Virginia has one of the best selections of fish, reptiles, birds, and other animals around. The store is locally owned and operated by a very knowledgeable and friendly staff who believe in taking time to answer questions is the best way to customer satisfaction. Better than a big chain pet supply store, Berkeley Springs Pet Supply in Berkeley Springs, West Virginia, offers very reasonable prices on healthy pet foods with the belief that feeding your pet is as important as feeding yourself. One of their goals is to raise the awareness that a healthy pet is a happy pet and they are a pet supply store only. Naked Acres Exotics in Martinsburg, West Virginia may be a small shop, but it’s big on helpfulness and information. The local owners are very knowledgeable, the service is great, and the prices reasonable. If you love reptiles and all that goes with them, this is the place for you. With a love of animals and a fascinating story of how Miss Booger’s Pet Sitting & Supplies came to be, this Harpers Ferry, West Virginia store’s website is a must visit if you have animals that you love and care about. A portion of the proceeds from their website is given to help animals through a variety of charities. Those local to Harpers Ferry or traveling there can lodge their dog or cat for the day or overnight or have someone come to your home for unique pet-sitting services.